With the boardwalk phase of the Safety Harbor Waterfront Park virtually completed, city officials have turned their attention to the next phase of the project. According to Safety Harbor officials, the boardwalk phase of the city’s Waterfront Park project is virtually complete, save for a few final “punch list” items that will soon be crossed off the list. 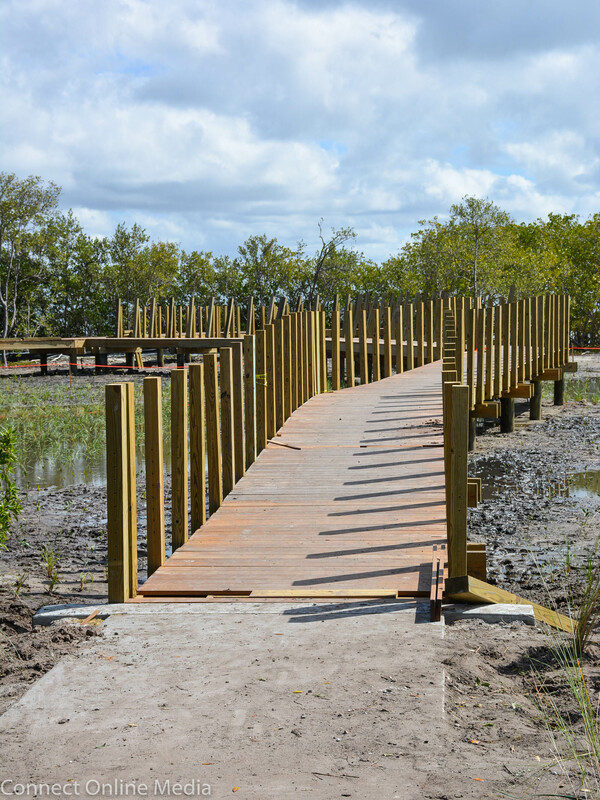 By the middle of next week, the 2,500-linear-foot boardwalk that runs through the mangroves along the shoreline at the north end of the park will open to the public, with the new 16-space parking area soon to follow. With Phase 1-B, which began in June and included a massive community planting project, now in the rear view, the newly configured City Commission recently turned its attention to Phase II of the park’s development. And while there is no money set aside for future phase work until Fiscal Year 19/20, the commission and staff plan to move forward with the development of the 13-acre parcel, which was purchased from the Safety Harbor Resort and Spa for $2.7 million in 2012. A look at the Safety Harbor Waterfront Park Concept C, which is the next phase of work scheduled for the project. 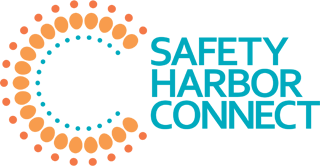 “Phase 1-B is nearing completion, and as of April 5th, we had just over $90,000 available in contingency funds that were not spent on the project,” City Manager Matt Spoor said when the agenda item came up during the April 17 commission meeting. Spoor then provided a list of items staff recommended to be addressed with extra contingency funds, which including adding electric for events and lighting throughout the park, putting benches and trash cans along the trail, adding plaza seating near the pier, installing irrigation for the large field and restroom improvements. He also said they have started looking at the elements of the next phase, known as Concept C.
“Staff has begun researching the natural shoreline and the other elements of Concept C to develop a scope, budget and construction documents,” Spoor said. After listening to Spoor’s recap, the commissioners provided their input. 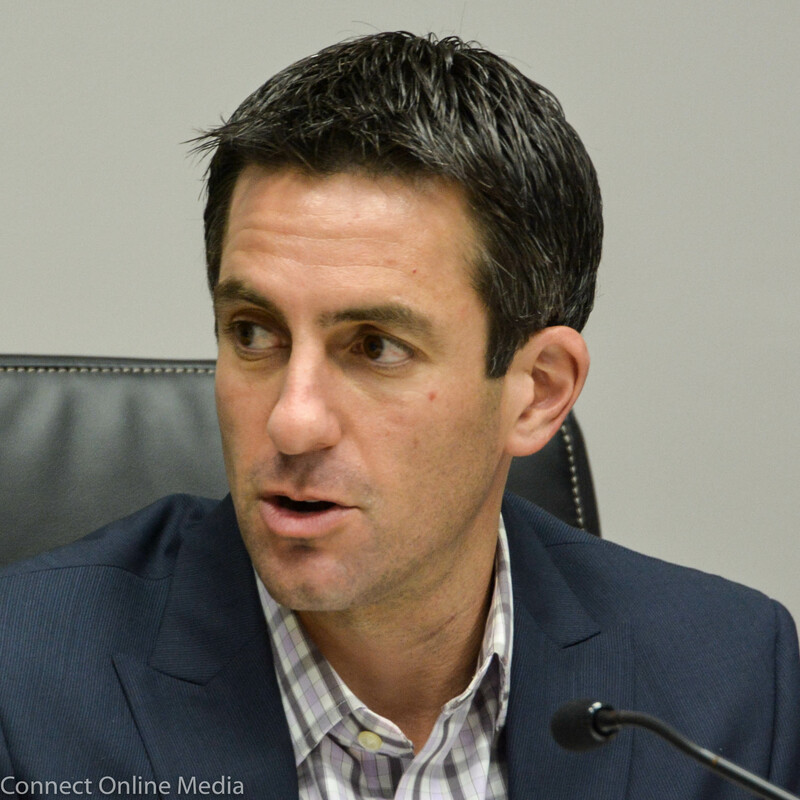 “The last commission made some good changes to the plan, where they moved where the boat parking trailer is, and they extended the greenery all the way over to Veterans Park so it’s all one contiguous greenspace,” Mayor Joe Ayoub said. Safety Harbor Mayor Joe Ayoub. 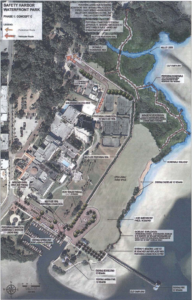 The ideas the mayor was referring to came out of the original public meetings on the project back in 2013 and include additional landscaping, kayak launches, transient boat slips, shaded areas and a sidewalk extending from the end of the boardwalk near the shoreline on the eastern edge of the property. Vice-Mayor Carlos Diaz concurred, saying “I think it’s a pretty good idea” to incorporate some of the additional elements, while Commission Scott Long said adding shaded areas should be a priority. The boardwalk at the Waterfront Park is now open to the public. Spoor said he would direct staff to look into how much the additional elements would cost, and he noted the commission could find the money to implement some of the items during the upcoming budget sessions. 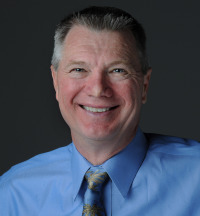 He also told the commission they would start working on allocating the extra $93,000 in contingency funds towards the most pressing, and sensible, of the additional wish-list items. After the meeting, Ayoub expanded on his plans for the park. “I’d like to find money in the budget to move some of these items, like the landscaping and picnic tables and the plaza seating, forward as soon as possible,” Ayoub told Safety Harbor Connect. 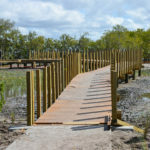 Note: An earlier version of this article stated the boardwalk was already open to the public, but city officials have said the area will not be open until the middle or end of next week. 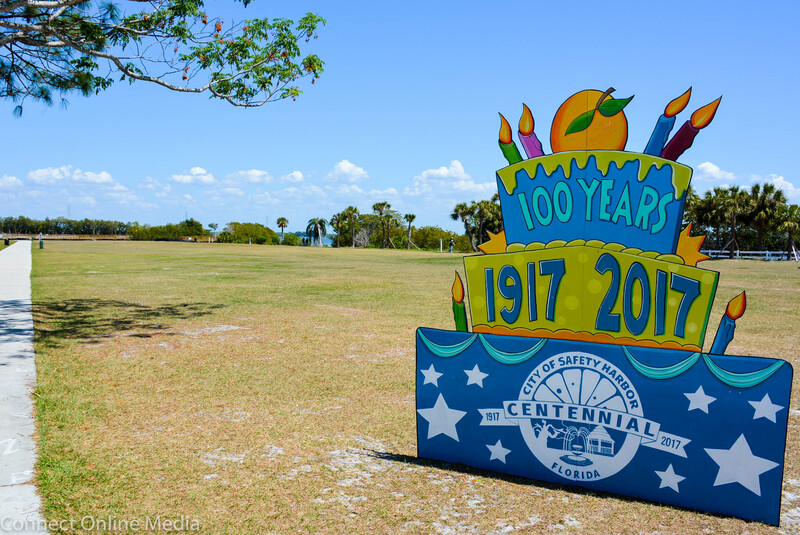 Subscribe to the Connect Newsletter to receive updates on the Safety Harbor Waterfront Park.